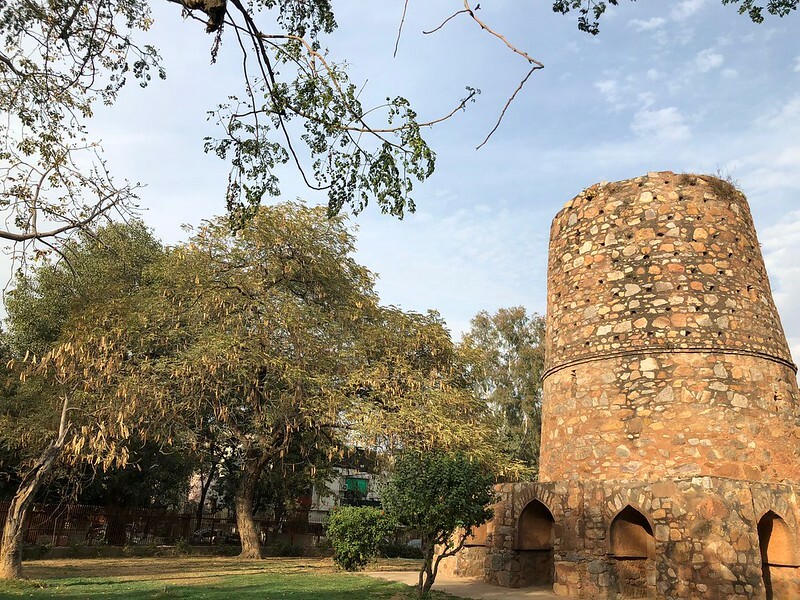 Right here in the terribly genteel Hauz Khas Enclave stands an ancient tower mainly noted for cruelty beyond the unspeakable. But The Delhi Walla will speak of it anyway. 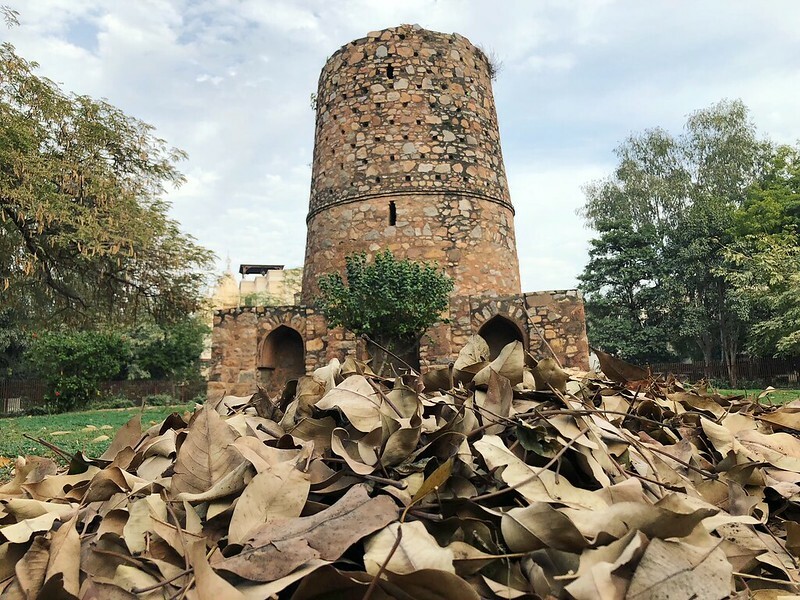 Hundreds of years ago those 225 holes in the Chor Minar displayed the severed heads of thieves. 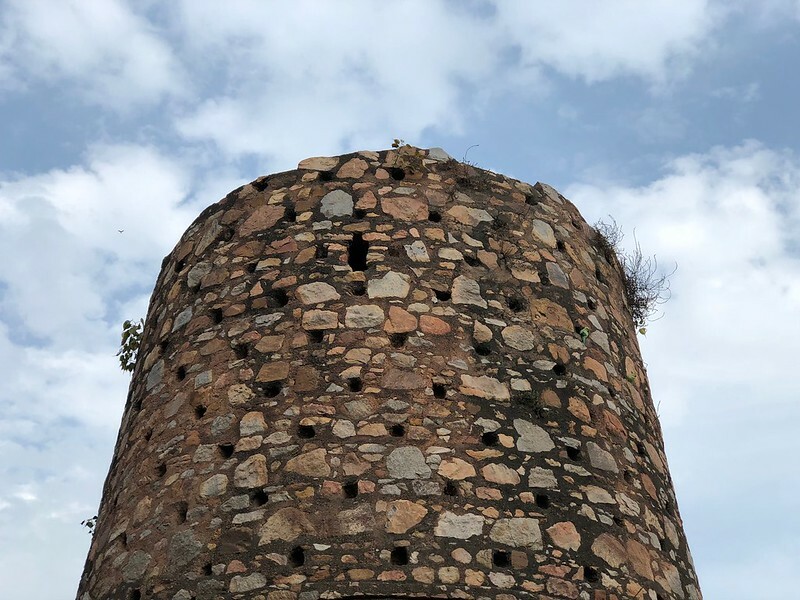 The idea cooked up by Khilji sultans was to serve stern notice to the surrounding community riddled with crime. I have no idea whether that purpose was served. 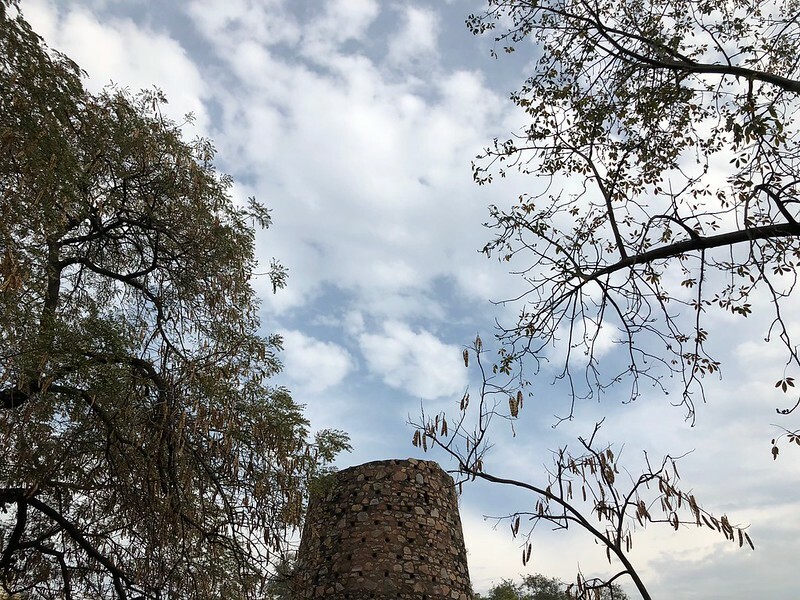 Legend also tells us that when 8,000 Mongol troops were beheaded, their heads were piled in large mounds next to the Minar. 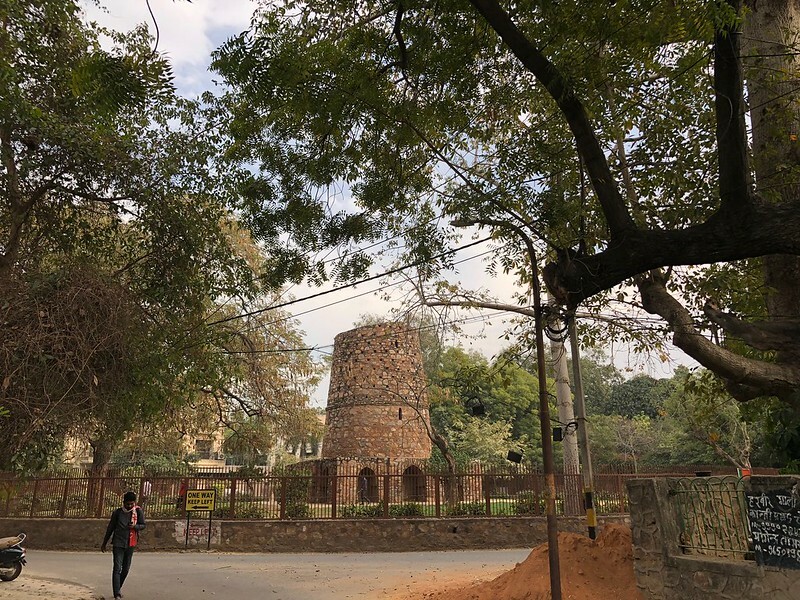 Built around 1300, the monument is now consigned to the center of a traffic roundabout that usually remains quiet all day long since it’s away from the main road. 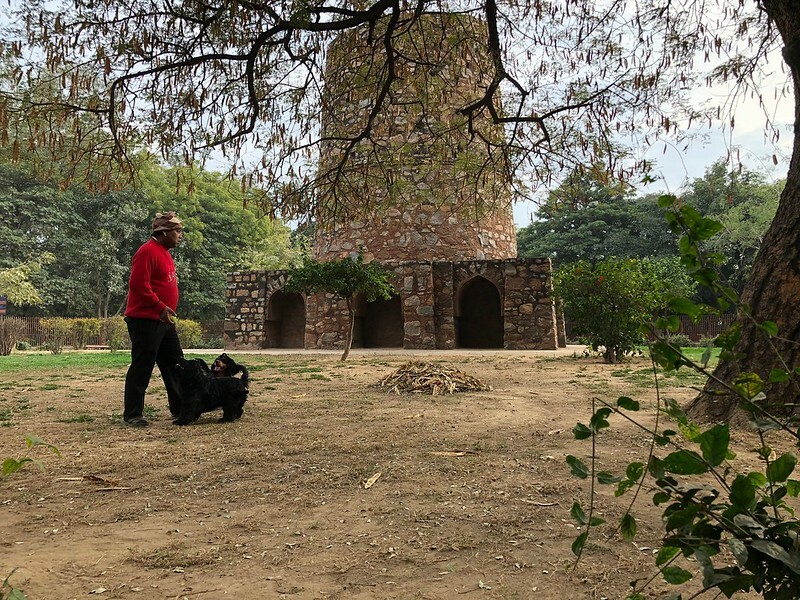 Surrounded by trees and bungalows, the dreadful tower certainly managed to cast off its appalling history. 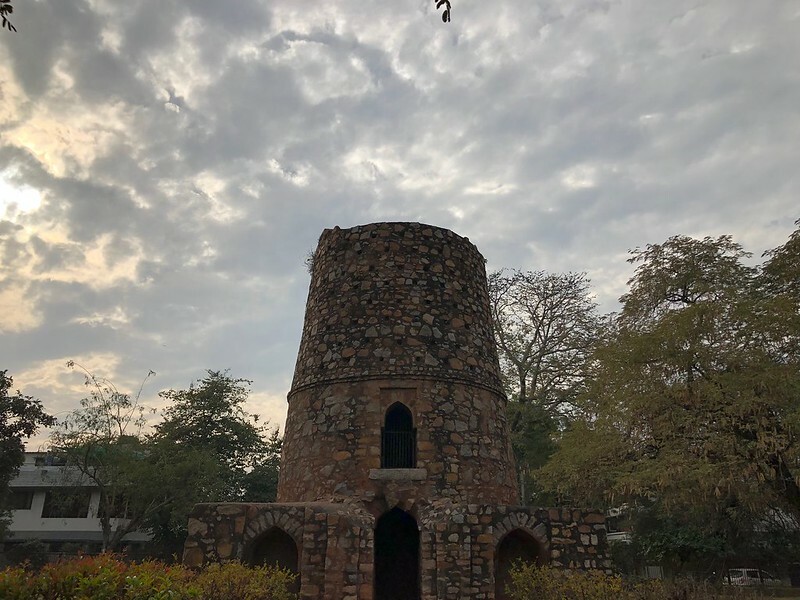 Come dusk, the area serves as a recreational park for kids while their parents chat nearby. During my own visit we’re treated to violin music streaming from a residential window. Which gets me thinking. Perhaps, just perhaps, the world will never end despite the violence it inflicts. 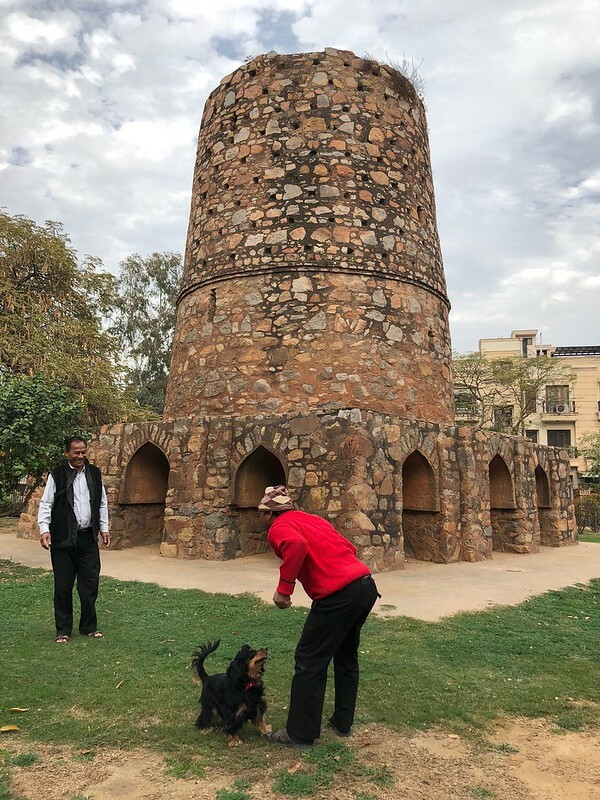 This may be the kind of message that a pock-marked monument like Chor Minar silently transmits, even as neighbourhood dogs — Cheeku and Moti — romp around it.